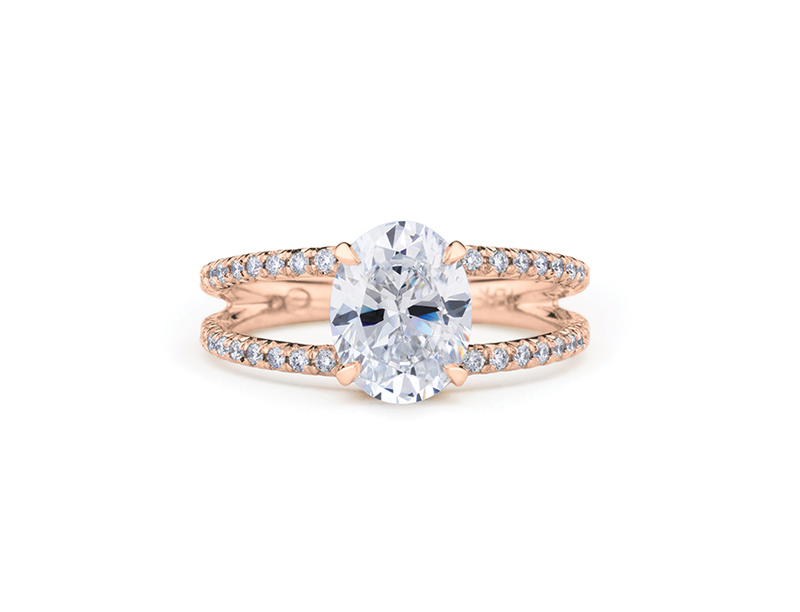 This split shank design by Scout Mandolin features whisper thin rows of pavé diamonds that meet at a light and bright beaded basket setting. 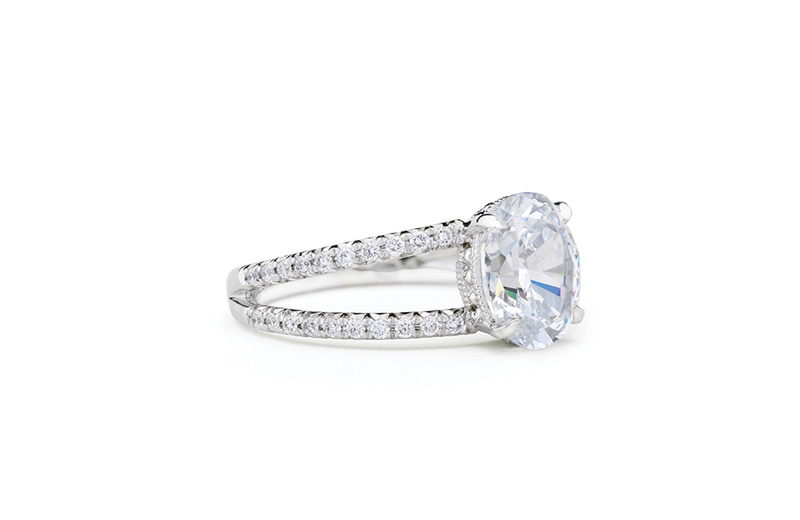 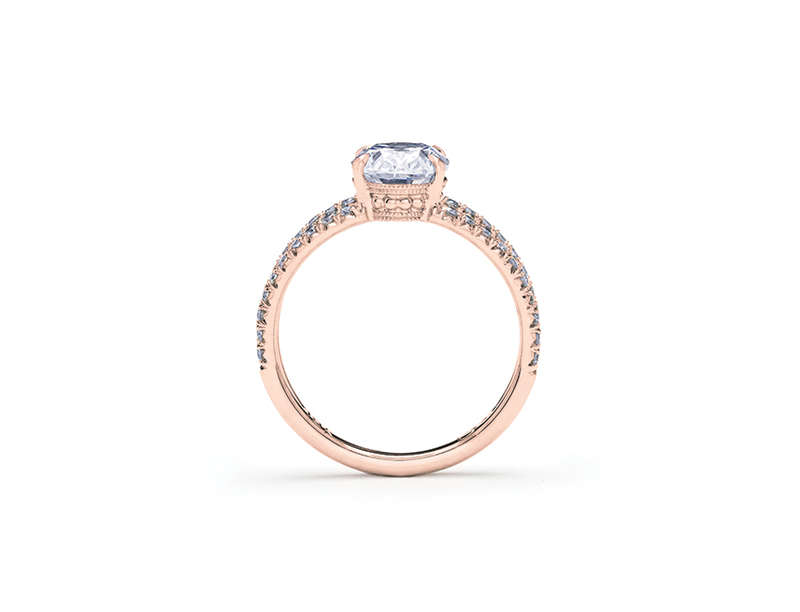 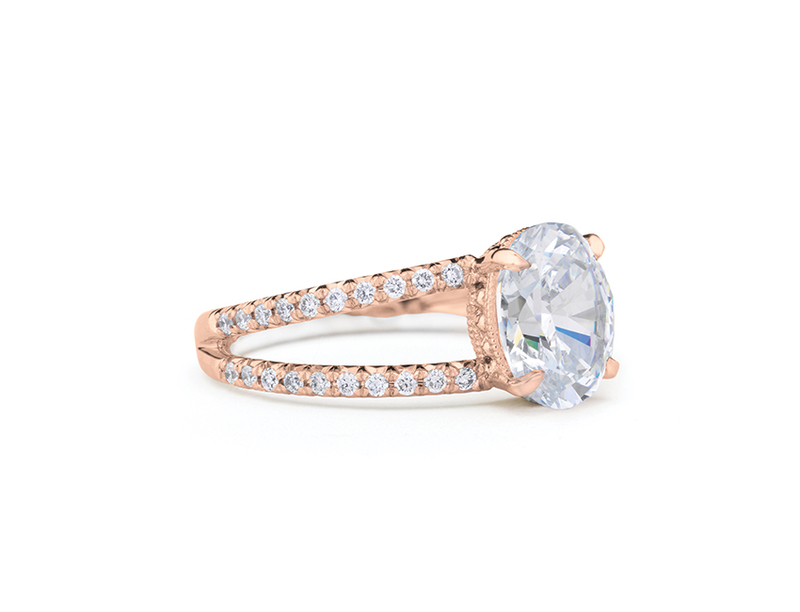 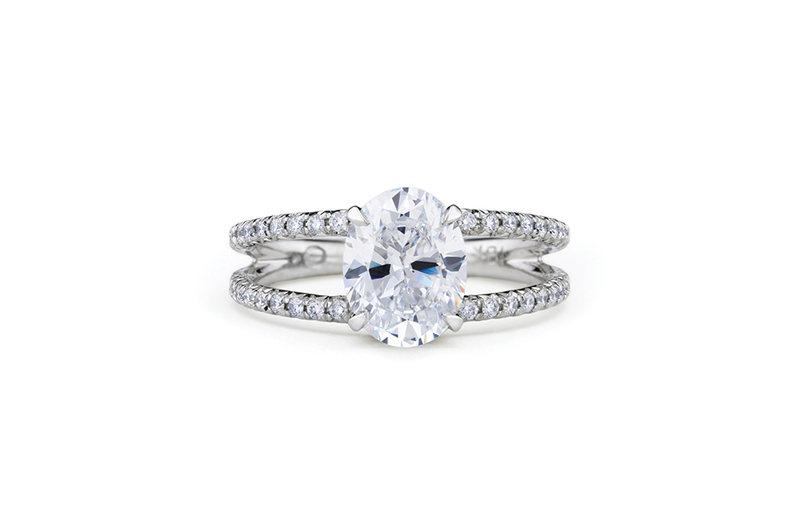 The central diamond of your choice is gracefully held by four petal shaped pointed prongs. 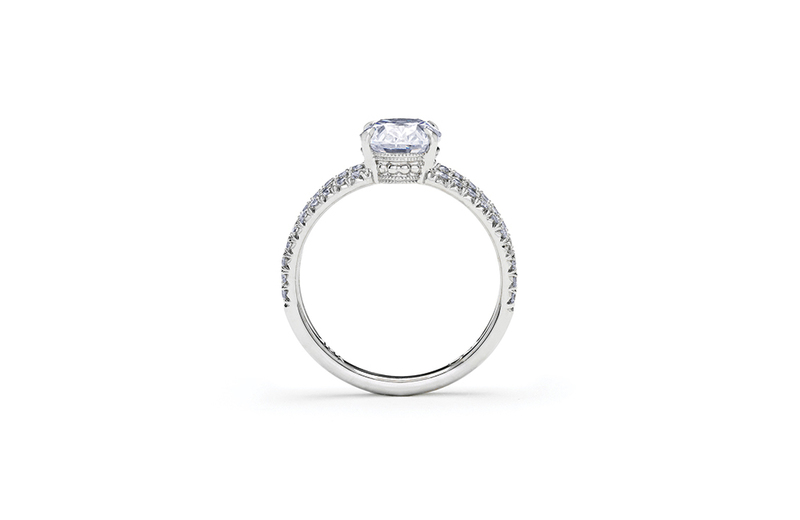 Rests comfortably alongside an eventual accompanying wedding band.